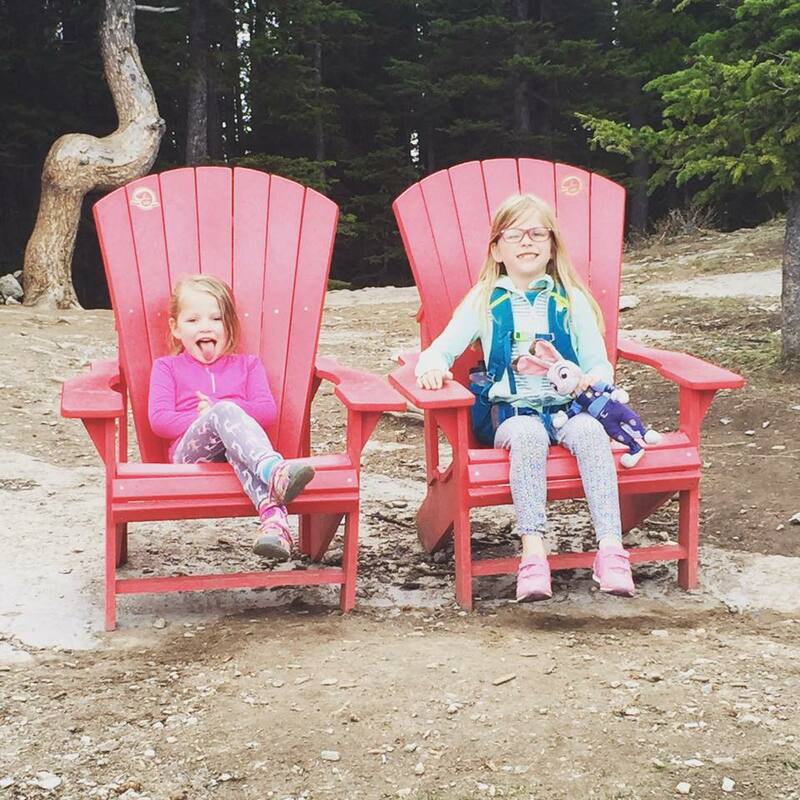 Last summer, Parks Canada launched the #sharethechair initiative. Red adirondack chairs would be placed throughout the National Parks across Canada in quiet places where people could reflect and be inspired and just take in all the parks have to offer. We had seen a few chairs last year but we were always on bikes and there were always people around so we never got to sit in them or participate in it until last weekend when we were hiking Tunnel Mountain and we came across them just before you got to the top of the mountain. We were all very excited to see them but none more then me. I follow the #sharethechair on social media and have been dying to be able to participate. We all got our photos taken in the chair and we sat in them and witnessed the beauty of having the ability to climb up a mountain and watch the world below you. You can go onto the Parks Canada site and find the chairs and go exploring that way but we choose to be pleasantly surprised and find them by accident by hiking or biking along the trails we love or discovering new trails. But you should really try and find some if you have a national park near you!